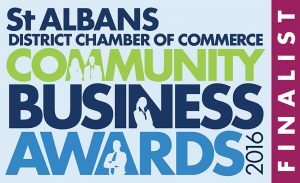 The Awards are open to all whose business strategy encompasses policies and projects that have a positive impact on St Albans District. The activities should bring about economic, social or environmental benefits for the community. Any business or individual in the St Albans District is eligible for nomination. You can nominate yourself, your business, or any other individual or business for one or more of the awards. 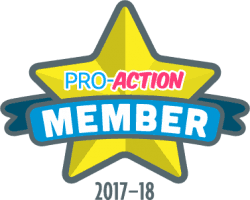 (Event sponsors are excluded from entry in their sponsored category). The Awards will be judged by the St Albans District Chamber of Commerce with the judges for each category including a specialist judge, sponsor and Chamber Director. There is a shortlist of 5 nominees in each category. Lisa said “Each year we are so impressed by the calibre of the nominations we receive, organising these community business awards is a great way to discover the many amazing people and businesses we have here in the district. I feel very privileged and honoured to be part of such a dynamic business community. A huge thanks to all of our sponsors and congratulations to all of our finalists and winners, very well deserved”. Stuart Falconer (one of the Founders of The OLLIE Foundation) is one of the 2016 Finalists!